Even if everyone found it inconceivable, the appearance of Shi Feng's portrait above the arena was irrefutable proof that he had won this match. "If he can defeat Wind Chaser so easily, despite having the same Attributes, it is no wonder how he can solo a Great Lord." Best Reincarnation and the others were shocked. With their standards, even if they fought an ordinary player with the same Attributes, it was impossible for them to defeat their opponent instantly. Yet, Shi Feng was fully capable of exactly that. The gap between them was simply unimaginable. If before they had treated Shi Feng as an expert, now, they treated him like a monster. They were people living in completely different worlds. Meanwhile, Wind Chaser, who had revived below the arena, was still stuck in a daze. "Chaser, didn't I tell you earlier? With your weak skills, you are simply flaunting your incompetence before an expert. Why haven't you thanked Brother Ye Feng for his pointers yet?" Blue Frost laughed when he saw Wind Chaser's stunned expression. He was the slightest bit surprised by Wind Chaser's crushing defeat. Compared to the battle with the Great Lord Noya, this match was child's play to Shi Feng. Hearing Blue Frost's words, Wind Chaser hurriedly thanked Shi Feng. After this match, Wind Chaser finally realized understood the extent of his strength. Following which, the leaders also turned to ask Shi Feng for advice on their combat techniques. Bombarded with questions, Shi Feng's response to the situation was not miserly, graciously teaching them, one after another. Before anyone knew it, three hours had pa.s.sed. Even so, none of them could get enough of Shi Feng. His's guidance was targeted towards improving everyone's individual weaknesses, allowing them to see immediate improvements to their combat power. This result furthered everyone's admiration of Shi Feng. Not only did Shi Feng possess monster-like strength, but his teaching skills were also on point. In reality, though, Shi Feng had only made a few suggestions to remedy their bad combat habits and teach them how to control their foundations. They were unlike Fire Dance and the others, who Lei Bao had personally trained to control their bodies properly. "May I know if Brother Frost would be willing to sell me Hundred Berry Wine for the long-term?" The Hundred Berry Wine sorely tempted Shi Feng. Although the residents of District One had the Hundred Berry Wine to improve their compatibility rates, they did not possess the foundations necessary to display its full effects. If he had some of the wine for Fire Dance and the others to consume, they would most likely see ma.s.sive improvements immediately. "Brother Ye Feng, you should know that the Hundred Berry Wine is a specialty of the Lions Bar, and its supply is very limited. If it is only a few dozen bottles, I I have no problems with giving them to you. However, you saw the Hundred Berry Wine's effects for yourself. It can help us improve our Skill Completion Rates, making it easier for us to understand our Skills. If we sell it long-term, it will weaken our Shelter's players significantly," Blue Frost explained. "I understand this, of course. However, what if I have a different method to improve the Shelter's strength?" Shi Feng smiled. "Improve the Shelter's strength?" Everyone present was suddenly interested. The compet.i.tion between Shelters was very intense. Moreover, as players reached higher levels, the intensity would only grow as fewer high-level maps and resources would be available. Naturally, the areas where players could station Shelters would also decrease. Naturally, those with sufficient strength would have priority over the high-resource locations, whereas weaker players would be chased away. Their District One had already competed with other Shelters many times. In higher leveled maps, however, the Shelters they had to compete with would become more numerous and powerful, so upgrading their Shelter's strength was of utmost importance. "Join my Guild, Zero Wing," Shi Feng said. "Join your Guild?" Everyone was stunned. They all knew what a Guild was. There were a countless Guilds in the virtual gaming world. In fact, members of Guilds had formed many of the Shelters. Only, as there was no Guild System available in their location, n.o.body could officially establish a Guild here. Rather than joining a Guild, it was more like joining a Guild's forces. Many Shelters that lacked strength would usually choose to subordinate themselves to a Guild's influence, gaining protection and a.s.sistance from said Guild Forces. In return, however, these Shelters were required to supply various resources and money to these Guilds. Every Guild Force they knew of was extremely powerful with a plethora of experts. For example, all Large Shelters were apart of a Guild Force. Medium Shelters, like District One, stood no chance against them. These Guild forces also had plenty of funds and consisted mostly of professional gamers. After considering it for a moment, Blue Frost said, "If we join you, what can Brother Ye Feng's Guild provide? How are you going to help us increase the Shelter's strength?" In truth, Blue Frost had thought of joining a Guild Force before. Many Guild Forces had come to recruit their District One. However, if they joined one, it would have to be a formidable Guild Force. That way, they could strive for much more resources for themselves. Otherwise, they would be better off running the Shelter without a Guild. "If you join Zero Wing, we will provide you with Teleportation Magic Arrays so that you can save on travel time. Zero Wing will also provide you with funding and equipment and will train you all to be true experts," Shi Feng said. "Teleportation Magic Arrays?! You guys actually managed to obtain that kind of item?!" Shock swept through the small crowd as they stared at Shi Feng, their jaws practically hitting the floor. As far as they knew, teleportation arrays weren't available in this area; even Large Shelters didn't have any. If their Shelter had teleportation arrays, they could save so much time. With that advantage, it'd be difficult for their Shelter not to grow stronger, even if they tried. "Brother Ye Feng, are you telling us the truth?" Blue Frost asked excitedly. "Don't believe me?" Shi Feng laughed. He then retrieved the Teleportation Magic Array Design from his bag, placing it on the table for all to see. "Here; have a look at it yourselves." "Wah! It's really a Teleportation Magic Array Design!" Evening Lotus's eyes shone as she examined the forging design on the table. This item was more tempting than any weapon or piece of equipment. "You've seen it for yourselves now. If you all are willing to join Zero Wing, we will provide your Shelter with teleportation arrays. At that time, your Shelter will develop at never-before-seen speeds. Becoming an Advanced Shelter will become possible, not to mention a Large Shelter," Shi Feng said confidently. Just like the towns and cities in the outside world, the Shelters in the Dark Den were categorized into ranks. There were Small Shelters, Medium Shelters, Large Shelters, Advanced Shelters, and more. As a Shelter climbed the ranks, they would have access to more functions. However, it was not easy to upgrade a Shelter's rank, as doing so required a large number of Soul Crystals. "I understand. Since Brother Ye Feng has such an optimistic view of District One's Shelter, my First Party will join Zero Wing," Blue Frost said after considering the opportunity for a long moment. "Since Blue Frost has agreed, my Second Party will join as well," Best Reincarnation said as he nodded. "My Third Party will also join!" Shallow Moon agreed. In just a short moment, the top ten parties of District One all agreed to join Zero Wing. To put it simply, teleportation arrays were like strategic weapons to a Shelter. If news of this got out, countless Shelters would vie to join Zero Wing. Moreover, after seeing how powerful Shi Feng was, they realized that the Guild behind him would not be any ordinary existence. 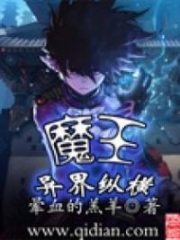 You're Read Reincarnation Of The Strongest Sword God Chapter 597 online at NovelOnlineFull.com. You can use the follow function to bookmark your favorite novel ( Only for registered users ). If you find any errors ( can't read,broken links, can't load photos, etc.. ), Please let us know so we can fix it as soon as possible. And when you start a conversation or debate about a certain topic with other people, please do not offend them just because you don't like their opinions. You're reading Reincarnation Of The Strongest Sword God. This manga has been translated by Updating. Author(s): Lucky Cat. Already has 1931 views. Current Time is 20-Apr-2019 12:37:06 PM.